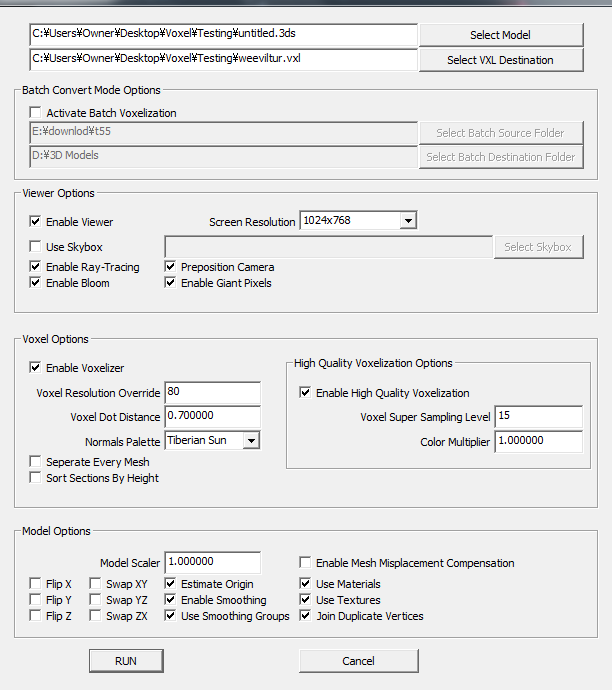 Project Perfect Mod :: View topic - [help]My Voxel won't work or XCC Mixer deletes them? [help]My Voxel won't work or XCC Mixer deletes them? Posted: Sat Apr 14, 2018 1:10 pm Post subject: [help]My Voxel won't work or XCC Mixer deletes them? Subject description: Newbie in need of help. Hello everyone i'm new to the modding community and i decided to make my own voxels, but i encountered some problems. i am in need of dire help. 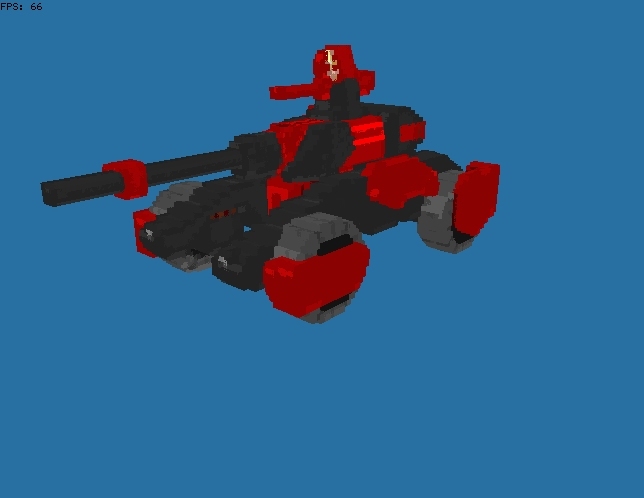 so i created a model and converted it with 3ds2vxl for either Tiberian Sun or RA2/Yuri's Revenge as a Nod Vehicle and the results looks okay to me at first, but when i tried to test them if it works ingame... in tiberian sun, it's voxel looks glitchy even i put the correct codes in art/artfs. and still broken when i test both vanilla and firestorm. then i tried to test it for RA2/Yuri's Revenge but i encountered a problem when i tried to insert both the Vxls and hva files in localmd.mix and insert them to Ra2md.mix with XCC Mix Editor. and i don't know if my Voxel or the Mixer is broken? because i tried to insert some voxels i downloaded here and those files just disappeared in the mix. or what i'm doing wrong. You don't need to put the VXLs and HVAs in MIXs for them to show up in-game. SHPs need to be in an ecacheXX.mix (RA2 and most likely TS and FS). And when you do put stuff in MIXs (like for when you release the mod) VXLs, HVAs, INIs and everything that isn't SHP goes into expandXX.mix. Each WW mix has it's own key which deciphers the content, the content has to be made compatible with that key in order to be loaded correctly. Only the ecache/expand mixes are free from this data alteration, as they contain their own loadable keys that aren't hardcoded... at least that's how I understand it for RA2, YR will behave different regarding some files. This is why for instance I have to put my override palettes into an extracted copy of the original cache.mix with the hardcoded key, otherwise all my palettes in-game will be garbled. If you haven't already, i suggest reading The newbie guide in modding. Strange i watched a few tutorials a while back in my private time and it shows that i must put the voxels to Local.mix/Localmd.mix, and they sort of work for me but now it doesn't work. thanks for reminding me that i've been putting the wrong files all along. now should i try test the voxel out ingame. now here is another question? 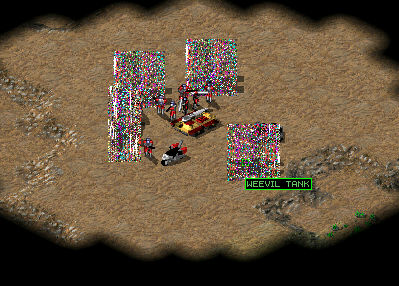 if i'm adding new voxels in Tiberian Sun, should i put every code in both Rules and firestorm inis, and is the firestorm file expand.mix count's as an original or should i make a new expand file? Nevermind. i solve it! thanks! Here are my settings. I didn't change much but i shouldn't make it big. due to lack of tutorials i don't know what i'm even doing. It's still need a lot of work after i test it first. Don't touch the original mix files unless you need to. You don't need to include key.ini from original mix files even if you are making a cache.mix. Contrary to the tutorial link, never use XCC Mix Editor, you might have already corrupted the vanilla mix files. Use only XCC Mixer and create new mix file expandNN.mix for TS/RA2 or expandmdNN.mix for YR (where NN is 02 to 99). Open that empty mix file with XCC Mixer 1.47 in the middle panel and then drag and drop the needed files into it. Place the newly created expand mix file into the game folder. Your voxel files aren't as bad as it looks in the TS screenshot, it renders properly for me. There are few pink colored pixels and turret and barrel need proper alignment. The voxel could be improved. Utter nonsense, many of the original mix files do have an encrypted header which obscures where a file is within the mix file, but if the game can read any file from one it can read all the files from one. The file contents themselves are not altered. The keys are all generated separately, the only hard coded part is how the key is recovered from the header to decrypt the data that follows it, but all mix files with an encrypted header must use the same process, that included any ecache or expand files. However the header encryption is optional for all files and XCC's support for header encryption is practically none existent. BTW, keys.ini does show the hardcoded keys used to recover the per mix key, but that file does nothing, the game has the values in it hard coded. Its inclusion was probably a mistake when packing the original mix files. PS. Yes I know YR is a little more flexible on this than RA2. If you have garbled content or corrupted mix file, don't infer that it is because of key.ini. You can always create a new mix file and have no key.ini or any key.ini (from some other mix file or make your own) and put your palette files into cache.mix file. It won't be garbled. This mechanism is same for TS/RA2/YR AFAIK. Posted: Tue Apr 17, 2018 1:10 pm Post subject: Re: [help]My Voxel won't work or XCC Mixer deletes them? i Solve the problem thank you for those who help in the comments! now i can test the voxels, and know how to properly add them ingame without causing damage to my game. Sorry, but you are wrong. No mix has a hard coded key, they all have a key that was randomly generated at the time they were written. Its perfectly possible to replace any of the original mix files if the new mix is written correctly. If XCC messes up writing encrypted mix files, that is an XCC problem. Keys.ini is not used by the game, its inclusion in mix files was a mistake by WW. If you still doubt I know what I'm talking about I suggest you read this. Based on your PM where you try and add files to an existing mix, I'd say its just XCC mixer or mix editor (which ever you are using) that doesn't rewrite the file correctly when you do that. You can substitute a mix file that has an encrypted header with one that doesn't or a different but correct one and the game will happily read it, but you have to rewrite the file properly to accomplish that. XCC tries to be too clever for its own good in many ways. Because it doesn't have the code to properly generate keys for mix files, it tries to reuse the existing key (successfully most of the time). It also tries to rewrite the file in place when doing add operations as far as I can tell rather than extracting and rewriting to a new file on the fly in the background possibly leading to your issue if it doesn't update the file index correctly. Based on your PM where you try and add files to an existing mix, I'd say its just XCC mixer or mix editor (which ever you are using) that doesn't rewrite the file correctly when you do that. I know we've had some followups to clarify, but for everyone reading this thread, this is not the issue, rather the inverse of the issue. I can modify the original cache.mix til I need a new mouse with XCC Mixer and the game loads it correctly. If on the other hand I make a new mix with XCC Mix Editor and then add all the exact same files to it with either tool, the game will load them corrupted. XCC tries to be too clever for its own good in many ways. Because it doesn't have the code to properly generate keys for mix files, it tries to reuse the existing key (successfully most of the time). So again, REUSING the key seems to be the key.... as long as it isn't a NEW key. XCC can't create new keys at all, so your theory breaks down right there. Seems more like XCC Mix Editor can't create mix files correctly such that only XCC Mixer can read them and not the actual game. Both Mixer and Mix Editor has a weird bug where it makes a TD mix if you try to make a RA/TS/RA2 mix and vice versa, dunno why its not consistent, its about a 10/90 chance of happening. So when you make a new mix check if the format is right before tossing a lot of files in it.